If you been surfing the Internet looking for home security systems in Torrance, California, you have found the perfect wave. We are firmly established as the premier burglar alarm resource in Los Angeles County, and we take our commitment to the community seriously. After all, our work helps to keep local families safe and sound, so we shoulder a big responsibility. This city is well known for its beautiful beaches, and many people would say that local residents enjoy the best weather in the country. There is low humidity, and it doesn’t get very cold in the winter or oppressively hot in the summer. It is a physically beautiful place with many parks and an abundance of trees, and the economy is vibrant. When you combine all the benefits, you can see why property is very valuable in town. Though the city has a relatively low crime rate, bad things happen everywhere, and a burglar alarm along with a security camera system can provide you with total peace of mind. If you are located in the Hollywood Riviera section, Walteria, the Pacific Coast Highway/Janet Lane area, or any other part of Torrance, CA, a home security expert will always be standing by to assist you. In addition to the work that we do for individual homeowners, we also specialize in security camera system installations for businesses of all kinds. When you have a well-designed surveillance camera system in place, the ability to monitor everything that is going on in your business will pay dividends that will offset the cost of the Torrance, California security camera system installation. A total security solution will include a fire alarm system. The products that we source are highly sensitive, and they can detect even the slightest thermal disturbances. Of course, someone has to monitor the system around-the-clock, and this is another service that we offer to members of the business community. It is important to keep a watchful eye on the interior of your commercial structures, but you should also consider access control solutions. We offer a host of them, including biometric systems, smart cards, proximity card readers, and numeric keypads. 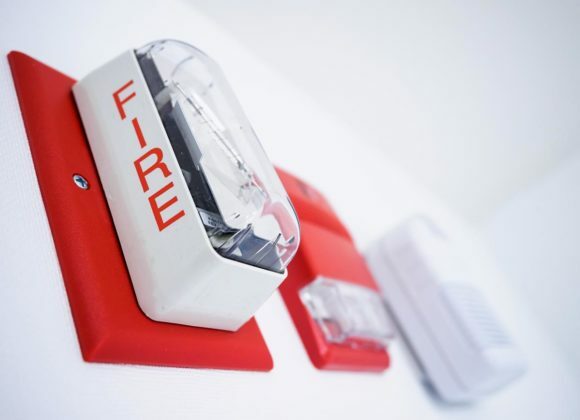 If you would like to discuss fire alarm systems, surveillance cameras, burglar alarms, or access control with one of our Torrance, California security system specialists, give us a call at 800-521-1958. There is also a contact form on this website that you can use to send us a message over the internet.